Fleming said: "We were exposed and I think sometimes it reflected on the bowling. Certainly we were on the back foot with some good fielders making mistakes, it hit down a little bit." 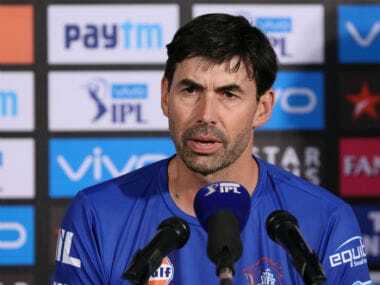 Kolkata: Sloppy fielding and lacklustre bowling let Chennai Super Kings down against Kolkata Knight Riders at the Eden Gardens on Thursday but coach Stephen Fleming strongly backed the side, saying one bad game does not mean it's time for "chopping and changing". One of the best fielders of Indian cricket, Ravindra Jadeja, dropped Sunil Narine twice on six, off KM Asif's successive deliveries. Narine was adjudged Man of the Match with an all-round show – 32 runs and 2/20 – as KKR secured a handsome six-wicket win over CSK with 14 balls to spare. The loss also pushed CSK away from the top spot but Fleming hoped it's a one-off as they hoped to get back to winning ways quickly when they host Royal Challengers Bangalore at their adopted home Pune on Saturday. "We were exposed and I think sometimes it reflected on the bowling. Certainly we were on the back foot with some good fielders making mistakes, it hit down a little bit," Fleming said, referring to Jadeja's double blip. "Look, that can happen in a long tournament... It's not a great performance by any means but we have got hours rather than days to rectify. A loss just is a little slap on the face and hopefully it has not affected in day and half's time and there's still going to be hardwork." CSK skipper MS Dhoni is well-known for backing his players to make the best use of the resources and Fleming said it's not the time to "chopping and changing" yet. "We got to be careful that we don't get too carried away after one bad game where the bowling looked a little bit off. It's too easy to start chopping and changing after one bad game. Look those guys bowled us to a win in the last game. You just got be careful and not be too knee-jerk and make sure that you run the sequence long enough to see true form come through." For a batting-heavy side that has posted 200-plus totals in eight matches this season, 177/5 may have looked modest by their standards but Fleming said it was competitive. "We were not that unhappy with 178, that's a pretty competitive target. We just did not start well enough, we had opportunities but could not take them." In the midst of a slump, Jadeja was also lacklustre with both the bat (12 from 12 balls) and the ball (1/39) as Fleming urged him to buck up. "We lost a little bit of intensity, could have scored a little bit more in the last four-five overs... a little bit more obviously from Jadeja. He got to score more than run-a-ball if he's going to fill that role." 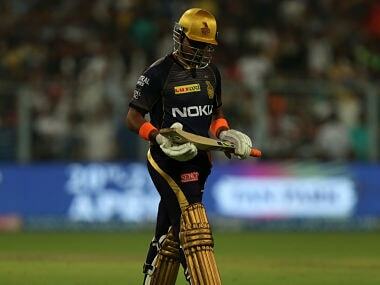 Giving credit to KKR spinners, Fleming said: "Their spinners were one of our main concerns. Narine is quality both at the start or at the end of the innings. The way he bowls, he takes a couple of overs out of your innings. He stunted momentum. "It's just another night where we were just fractionally off and as a team we just can't afford to do that. We were not that good a side where we can have bad days and still get win. We can compete but the result is probably appropriate." Shubman Gill was the best thing to have happened for KKR in their win as the U-19 World Cup-winning batsman grabbed the opportunity at No 4 with a maiden half-century. Gill, who had primarily pushed to No 7 for most of the matches, was promoted in the absence of an injured Nitish Rana as he, along with skipper Dinesh Karhik, sealed the chase effortlessly with an unbeaten 83-run stand. "He is a special talent and he proved it. 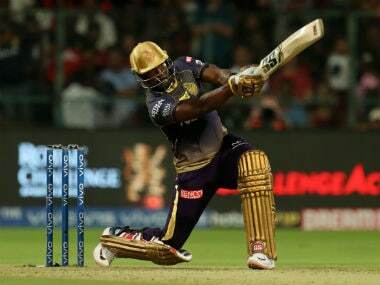 In these kind of tournaments, a comprehensive win is always good for the morale of the team," KKR spinner Piyush Chawla said at the post-match news conference as they next play Mumbai Indians on 6 May. "It's a team game so team comes first. But Nitish got injured and we needed somebody... Gill played the role beautifully." Chawla said they were not taking Mumbai Indians lightly even as the defending champions sit at the bottom of the table. "If you see Mumbai Indians they have proved it in the IPL. They may be at the bottom right now but they can be even more dangerous. We have to play good cricket to come on top." Chawla further said they were lucky to have two wrist spinners in the shape of himself and Kuldeep Yadav as they play a big role in T20 format.